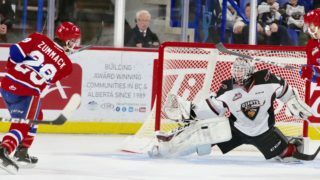 SPOKANE, Wash. – The Spokane Chiefs announced today that they have acquired 17-year-old goaltender Dawson Weatherill and a conditional fifth round pick in the 2018 WHL Bantam Draft from the Red Deer Rebels in exchange for the rights to 19-year-old goalie Tyson Verhelst and a third round pick in the 2017 bantam draft. 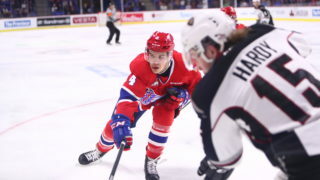 Weatherill, from Red Deer, Alberta, was originally a second round pick by the Rebels in 2014. 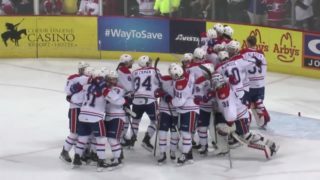 The 6-foot-4, 190-pound netminder played five games for the Memorial Cup hosts last season as a 16-year-old, posting a 3.69 goals against average and .881 save percentage in 114 minutes. He played the majority of last season with the Red Deer Optimist Chiefs of the Alberta Midget Hockey League, standing out with a 2.33 GAA and .932 SV% over 20 games, including one shutout. He also competed with Team Blue at Hockey Canada’s 2015 under-17 development camp. 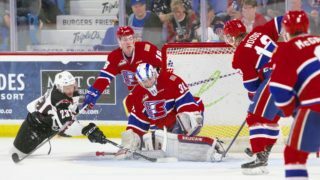 Verhelst, originally a third round pick by Spokane in 2012, played 81 games over two seasons for the Chiefs, posting a 3.31 GAA and .889 SV% with two shutouts. 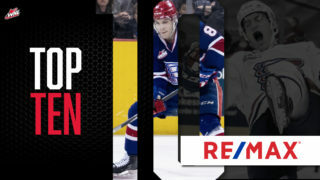 The fifth round pick sent by Red Deer will become a sixth round pick if Verhelst is not on the Red Deer roster (and/or has not been traded) at the WHL’s overage player deadline in 2017. NOTES: The roster move puts the Chiefs at 27 players, including three goalies. 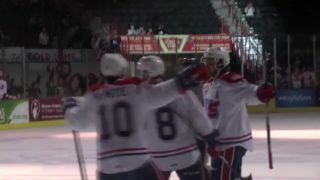 Weatherill’s midget team, the Red Deer Optimist Chiefs, was coached by former Spokane Chiefs forward and franchise games played record holder Brandin Cote. Weatherill will wear number 37 for Spokane. Bud Light Opening Night & Pre-Game Party is on Saturday, October 1. Pre-game festivities outside the main entrance to Spokane Arena begin at 4 p.m. with food, drinks, live music and the Bud Girls! Tickets are available now via the Chiefs’ Ticket Office, TicketsWest and online here.